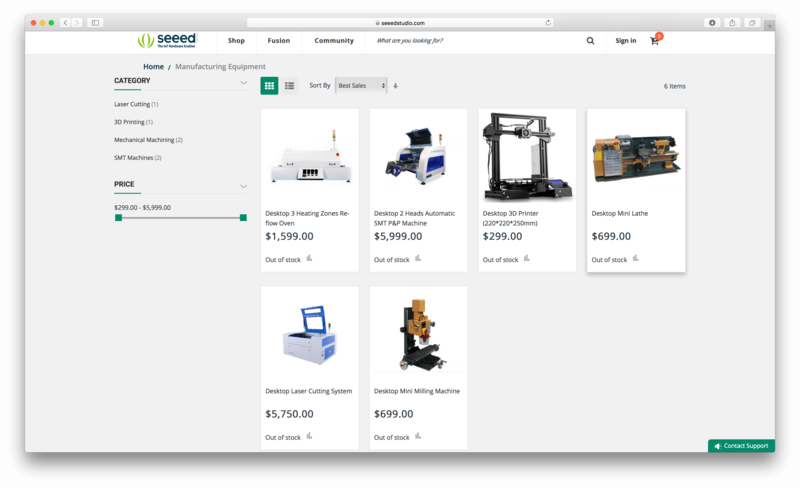 No more hassles choosing your manufacturing equipment! Find your right equipment for your laboratory right here! 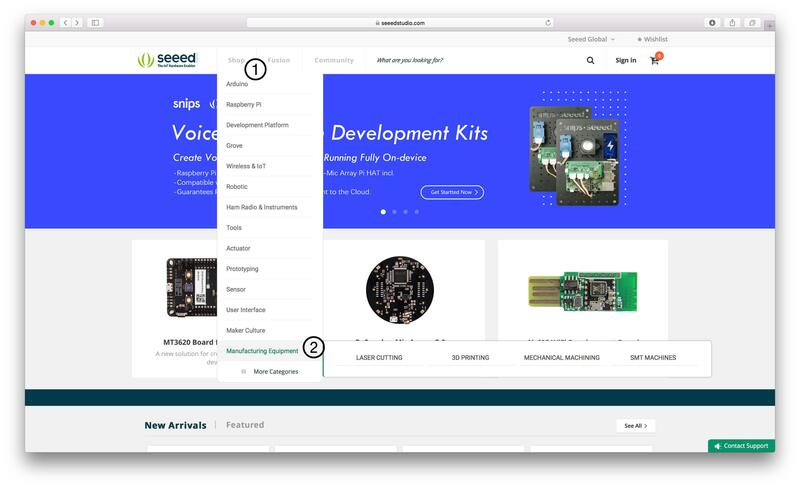 To visit the manufacturing equipment page, you can simply visit the home page of Seeed’s online store (https://www.seeedstudio.com), and scroll down to click the ‘More Categories’ button and find the new category here, or click here: https://www.seeedstudio.com/manufacturi ... pment.html.